Despite all the publicity generated against drinking and driving in the past few years, alcohol related traffic fatalities continue to be a major cause of death. 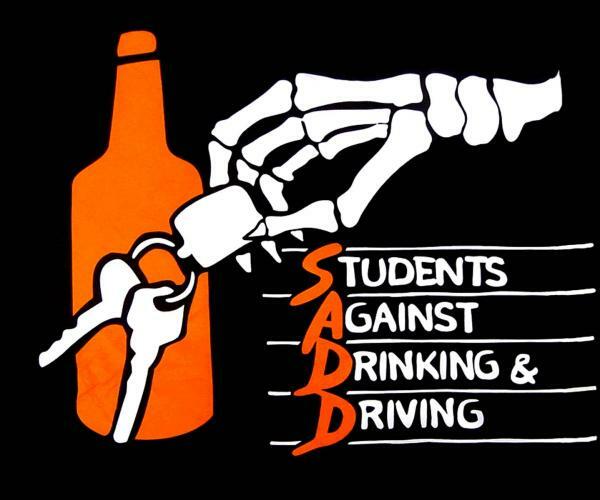 Students Against Drinking and Driving was established to reduce this tragic loss of life. It emphasizes positive peer pressure to encourage students to look out for one another. The phrase "friends don't let friends drink and drive" is more than a slogan. SADD is becoming a major force across Canada and there are a number of chapters at schools across Newfoundland and Labrador. Each chapter requires an adult advisor, usually a teacher, but other interested adults are welcome. Chapters organize and sponsor functions to help change attitudes about drinking and driving. To download the provincial SADD Handbook click here. If you want to become involved in a positive learning experience, learn how to work on a team, gain organizational skills and make an important community contribution, you may want to become involved in STUDENTS AGAINST DRINKING AND DRIVING.